Over the next fourteen days, the Wales Co-operative Centre is inviting you to join a conversation about poverty in Wales, and what works to overcome it, or at least reduce its impact. The headlines aren’t good. The economy is flat-lining. We have the biggest shake-up to the benefits system in 60 years. Public spending is being cut whilst the need for public services is rising. Some people are losing their jobs whilst others are facing pay freezes or reductions to their hours. Prices, especially energy prices, continue to rise. These events have a cumulative impact on families and communities in Wales, and poverty is often the consequence. Yet amongst all of this there are real successes: stories of enterprises supported to create jobs in our most deprived communities, stories of people helped into work against the odds. Stories of people empowered to save money and avoid debt. We will be telling some of thesestories over the next couple of weeks. For example, the Wales Co-operative Centre provides support to people who are digitally excluded, through leading the Welsh Government’s Communities 2.0 programme. Getting online and developing digital skills can open doors to unimagined worlds. Amongst other things, we have helped hundreds of people progress in the jobs market, and we will hear from some of them this fortnight. The Centre also works to promote Financial Inclusion, for example by supporting people at risk of homelessness. We help them manage their money more effectively and avoid debt. Our work with social enterprises specifically targets those with the potential to grow and create more jobs. We have worked with clients across Wales, getting national recognition for our recent work with AFS in Swansea, which provided sustainable employment for former Remploy workers. The jobs created as a result of our work are quality employment opportunities, and the money made by the employing enterprises stays in the local community. The impact of poverty on people in Wales makes it inappropriate to call this series of success stories a celebration. It is, however, an acknowledgement that some things are working and that people are benefiting as a result. We look forward to your response, to hearing your stories. You can comment on the blog posts, or use #povertyinwales on Twitter. Get Merthyr Tydfil Online Launch: (Left to Right) Angela Jones – Communities 2.0, Derek Walker, Chief Executive Wales Co-operative Centre, Mike Owen, Chief Executive Merthyr Valleys Homes, Eleanor Marks, Welsh Government, Ian Benbow, Head of Service, Social Regeneration, Merthyr Tydfil County Borough Council. Derek Walker, Chief Executive of the Wales Co-operative Centre, looks at how digital inclusion, financial inclusion and social enterprise support work together to protect people from poverty and to mitigate against its impact. Today is the launch of Get Swansea Online, a local initiative that aims to help Swansea’s estimated 45,000 digitally excluded residents to use the internet. This is the latest in a series of initiatives brokered by Communities 2.0, the Welsh Government digital inclusion project. 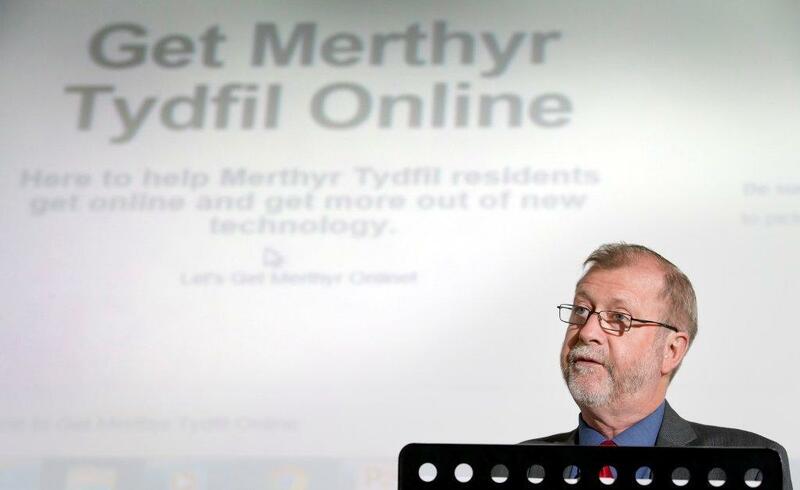 At yesterday’s launch of another initiative, Get Merthyr Tydfil Online, Minister for Communities and Tackling Poverty Jeff Cuthbert congratulated Communities 2.0 on its collaborative and partnership led approach. He emphasised the importance of helping people to get online and use the internet to save money and to find jobs. He stated that “digital exclusion compounds isolation” and said that Get Merthyr Tydfil Online has the potential to “reach the most digitally and financially excluded citizens” in the county. Last week the Minister visited a similar initiative in the Caia Park area of Wrexham. The political will is certainly there to ensure that everyone in Wales has access to the internet and the skills to use it effectively in the fight against poverty – but there is still more to be done. We are very lucky here in the Wales Co-operative Centre. Through our work as lead partner of Communities 2.0, and through our own projects on financial inclusion and social enterprise development, we see the positive improvements our interventions can bring to the lives of people in real danger of falling below the bread line. Across Wales we see people, helped by Communities 2.0 and our financial inclusion initiatives, gain IT skills and use those skills to get jobs and get out of debt. Communities 2.0 recently supported Torfaen and Blaenau Gwent MIND’s social enterprise arm ‘Training in MIND’ with an investment of nearly £5,000. The support will help pay for new laptop and desktop computers in their IT suite. 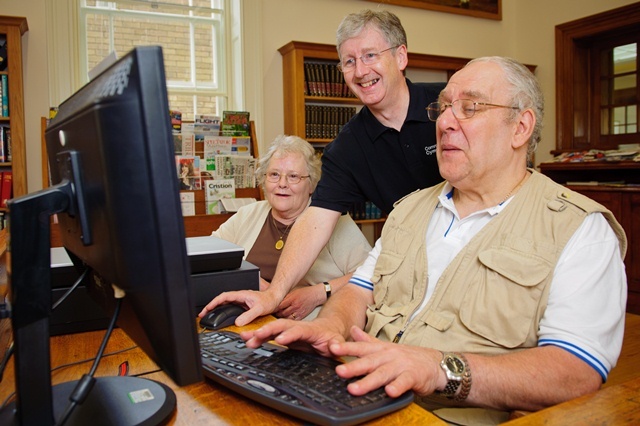 The IT suite is manned by volunteers running drop-in sessions for people to update their IT skills and search for jobs. The organisation is currently setting up a work club for people who attend the centre. This is an excellent example of a social enterprise integrating digital inclusion and anti-poverty measures into its social aims and on the ground delivery. At the Wales Co-operative Centre we also see the difference in our communities when they are engaged and enabled and can build social enterprises that reinvest their surpluses back into training and job creation. Galeri Caernarfon Cyf is a social enterprise that is focussed on regenerating the town of Caernarfon. Over the years it has regenerated properties and spaces in the town and opened up a highly successful arts centre. It now employs 36 full time equivalent jobs directly and supports over 40 in its tenant businesses. It is estimated that this one social enterprise has an economic impact of almost £1.3m to the economies of Gwynedd and Ynys Môn. In fact, Galeri is among just 6% of firms in Gwynedd that employ more than 25 people. 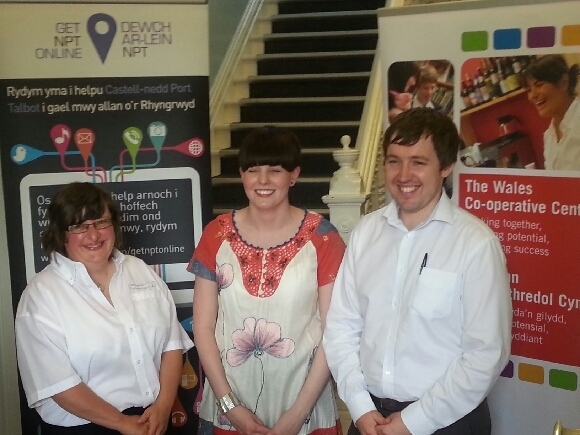 The Wales Co-operative Centre receives funding from a number of different sources to allow us to deliver our support work to communities across Wales. Our funders include the European Regional Development Fund, Welsh Government and the Oak Foundation. This year, we have also led on a project which encourages individuals to use the services of local credit unions to help them ensure that their rent payment gets to their landlords – meaning that they can keep a roof over their own and their family’s heads. In Caerphilly, development staff are working directly with individuals to suggest ways in which they can use existing support and advice to make the money they have last longer. 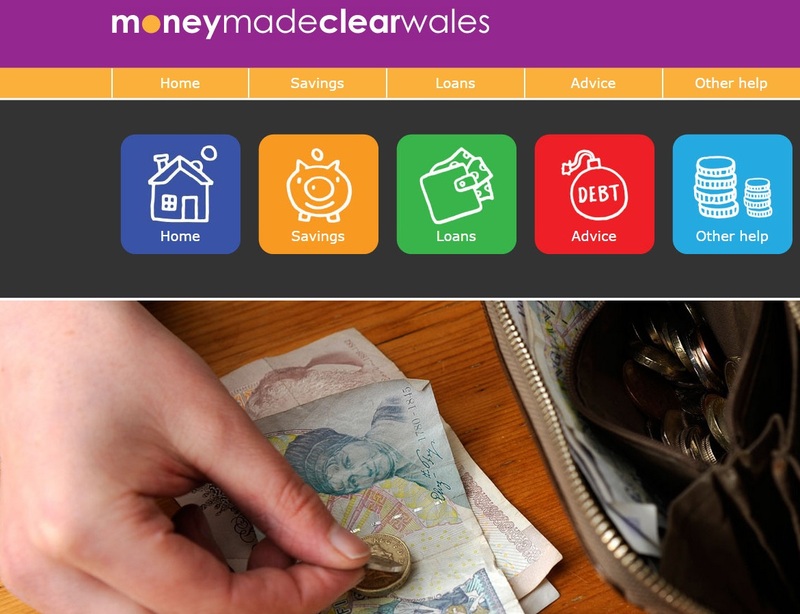 We are also managing and promoting www.moneymadeclearwales.org which offers signposting to advice on saving and loans, debt and benefits. Access to digital resources is now intrinsically linked to good money management and to allowing individuals to take control of their own lives. Financial and digital inclusion doesn’t just reduce isolation, but it allows freedom, liberty and empowerment. It allows individuals and groups to take their next steps forward – individually in the jobs market or as entrepreneurs, and collectively as empowered communities and social enterprises. We believe that by integrating financial and digital inclusion with community engagement and real support for social enterprises and charities, it is possible to alleviate some of the poverty that currently exists in Wales. But, just as importantly, we believe that this sort of support is empowering. It allows people to make decisions about their own futures. It allows them to build their skills and their confidence and it empowers individuals to lift themselves out of poverty and stay out of it. 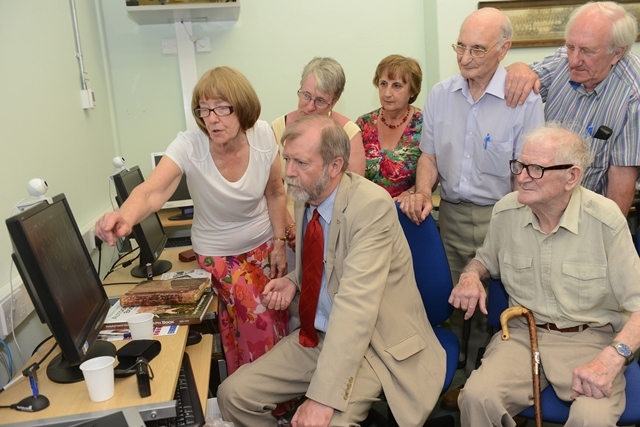 Get Merthyr Tydfil Online set to Soar! Zoar Chapel in Merthyr Tydfil has been a central part of life in the town since the middle of the 19th Century, long before the days of Facebook and Twitter. Yesterday, as Theatr Soar, it played host to an event that marked a new effort to help local people reap the benefits of digital technology. 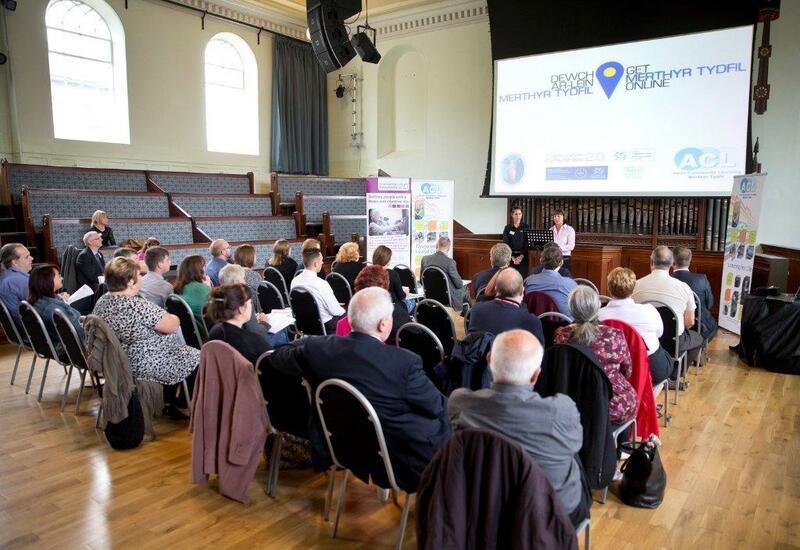 The launch event for ‘Get Merthyr Tydfil Online’ was attended by representatives of organisations that will be involved in the campaign, working in partnership. Communities 2.0 – the Welsh Government’s digital inclusion programme – organised the launch with colleagues in Merthyr Tydfil County Borough Council and Merthyr Valley Homes. Derek Walker, Chief Executive of the Wales Co-operative Centre, reiterated the fact that the Centre is the lead partner in Communities 2.0 and that the programme is doing vital work in supporting individuals, organisations and small enterprises to do more with digital technologies. Jeff Cuthbert, Minister for Communities and Tackling Poverty in Welsh Government, attended the event and said how not being online ‘restricts opportunities to improve lives’. This was borne out in a video that was played to the audience, telling the story of Deborah Price who secured a job after volunteering with Communities 2.0 in Merthyr Central Library. We were given a tour of the Get Merthyr Tydfil Online website, an insight into digital inclusion work in social housing from Merthyr Valley Homes, with closing comments from Cllr. Phil Williams – Deputy Leader of Merthyr Tydfil Borough Council – who cited the value of partnership working in the campaign. To round off the morning, we were given an opportunity to meet members of a local Job Club who had been attending computer classes, supported by Communities 2.0. One of the learners, Mark, told me why he wanted to learn more: “I’d been referred to the classes by my local Job Centre. It encouraged me to try something new, as I’d used computers for shopping online, downloading music and talking to people on Skype, but not for finding work or getting more qualifications. I’ve recently started an ECDL course. I’m hoping that all these courses and classes will lead to long-term employment for me and a better future. I’d even love to have a job in computers”.